Our beliefs are usually so strong we don’t even question them. There are some that we might even keep for a lifetime. It’s often not until something drastic happens that we choose to change them. Most persistent beliefs are formed when we are young. We form them as a result of being immersed in the life we’re born into. We receive input from our experiences, and from trusted sources such as parents, caregivers, friends, teachers, culture, religious institutions, and community. Our subconscious mind takes this ongoing input to form the bulk of our beliefs. The younger we are, the stronger the belief. Back when I first began my training in EFT Tapping, I took a serious look at my beliefs. I was amazed at how many of them were actually holding me back. I had limiting beliefs about love, about success, about health, and about money, of course. One of the most incessant beliefs though, was the belief that I was somehow obligated to please people. As you might imagine, the persistent belief that I had to please people thrust me into a spin of self-doubt and second-guessing whenever I tried to create something. Just the thought of having to please people slowed me down tremendously. Everything felt so difficult – writing newsletters, creating workshops, promoting my business, sometimes even relating to family and friends. So, I got to work. And, using all the tools in my toolbox, I began unraveling my old limiting beliefs. Now, I wouldn’t say that I’ve completely let go of all my limiting beliefs. Nor have I let go of my desire to please people. But I have altered my original belief — enormously. I love offering companionship, services, and products that help people feel good about themselves. But what I no longer believe, is that I am obligated to please everyone, or even anyone. I love bringing joy and pleasure to the people in my life. No obligation, no second guessing, no doubt, just the pure intention to bring more good into the world. Once I changed my belief from one of obligation to one of free choice, I felt more inspired, and capable, to bring the love. As I mentioned, once I started looking, I found a number of beliefs that no longer serve me. I didn’t release them all at once. It takes time, focus, and commitment to change beliefs. I am, as we all are, a work in progress. But, what I’ve found, is that the more I unravel my limiting beliefs, the easier and faster it happens. Remember, a belief is simply a thought, thought over, and over again. Affirmations – Decide what you want to believe and create affirmations that state these beliefs. For example, if you’d like to believe you can be healthy, wealthy, and wise, create affirmations such as: I love my healthy body, or I love being financially successful. Repeat your affirmations for 2-5 minutes each, on a daily basis. Repetition is the key to help you create your new belief. Look for Evidence – Find examples of people who have overcome obstacles similar to your own. Make a file of positive role models you can refer to in times of need. This will help you become aware of the possibility of a new, positive belief about your situation. Positive quotes – Find uplifting quotes from inspiring people. Search on the internet for quotes about specific topics such as love, peace, abundance, success, happiness, health, etc. Choose your favorites, and post them around your office or home. By continually seeing and reading the positive messages, you will input them into your subconscious, and gradually, you will begin to believe them. Inspiring podcasts and audios – There are plenty of inspiring podcasts around. Take a look at what’s available on Itunes and Stitcher. Look for podcasts which inspire you, and listen to interviews and information which will help you see things in a new, positive way. Hayhouse Radio is a great resource for shows which are specifically created to help listeners change limiting beliefs. Rewrite negative thoughts and beliefs – Write down a few of your most persistent negative thoughts or beliefs. Next, rewrite each to state the opposite. When you notice that you’re thinking a negative thought, or contemplating a negative belief, insert the opposite rewrite into your mind. Repeat the positive rewrite a number of times, to help yourself move away from the negative. Remember, repetition strengthens beliefs. Keep repeating new positive phrases, and you will begin to believe them. Write a new story – Write a new story for yourself. Write it in the present tense. Describe a scene where you have the personal qualities and experiences you desire. Include desired sensory information, such as scents, colors, feelings, and emotions. Read this story to yourself each day. Stand up as you read it. Change it as desired. Meditate on it. Bring the scene to life in your mind-body, and you will begin to see it happen. Challenge Assumptions – Don’t assume that just because you believe something is true, that it has to be true for you. Remember — a belief is a thought, which is thought over and over. Our beliefs bring us the evidence of what we believe. Challenge your beliefs by asking: Is this true? Is this true for me? Does this belief help me in my life? Do I want to keep this belief? If you answer no to any of these questions, it’s time to alter your belief in the way that feels best for you. Be Open to the Possibility of New Belief – Think about all the times you’ve changed your beliefs, or had a belief-altering experience. Allow yourself to open to the possibility that even your strongest beliefs can change. By opening to possibility, you will invite the flow of new information, allowing you to begin to create a new belief. Meditation – My favorite go-to. 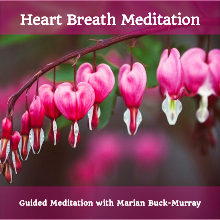 Meditation, when done on a consistent basis, allows you to drop beneath the logical ego-mind, into the wisdom of your heart and higher self. It is in this place that you can come to clarity about your beliefs. Sometimes just this deepened awareness is enough to make an enormous shift. EFT Tapping — EFT Tapping helps to loosen the grip of a belief that no longer serves you. If you are familiar with EFT Tapping, try tapping on the points while thinking and/or talking about a limiting belief. This will help loosen and release associated feelings, and neutralize the belief. If you’re not familiar with EFT Tapping, or if you would like assistance in working on a persistent belief, contact me for more information. Matrix Reimprinting — Matrix Reimprinting uses EFT Tapping and visualization to help unravel long-standing beliefs. Matrix is very powerful, and helps to unravel a belief at the place it was created. This technique is best done with a professional. Contact me if you’d like to learn more about Matrix Reimprinting. Choose to believe. Believe in the infinite possibilities all around us. 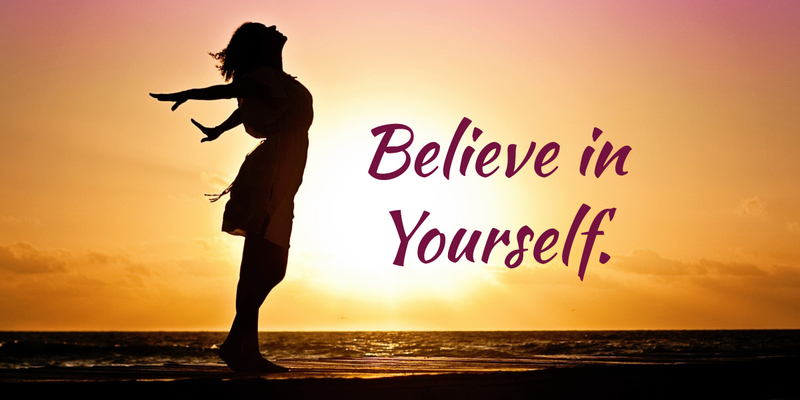 Most of all, BELIEVE IN YOURSELF! Struggling with Self Doubt? Check out my new mini-course, Overcoming Self Doubt. A lot of truth in that statement, for how can we create anything if we’re mired in self-doubt? Self-doubt is the irritating low-vibration undercurrent that can grab ahold when you’re doing your work, or venturing into something new. It defeats us before we even start. When given the power, self-doubt can weaken, diminish, and even attempt to extinguish our hearts desires. What’s worse, is that most times, instead of questioning it, we believe it. We believe that we’re just not good enough, smart enough, powerful enough, diligent enough to do whatever it is our heart is longing for. The good news is, we CAN do something about it. We can do simple things that help us move into a place of confidence and trust. Learning to count on yourself is one of the most important things you’ll ever do. Create a new habit which will benefit you in some way. Start small. For example, get up 20 minutes earlier. Meditate at the same each day. Drink water at regular intervals throughout the day. Schedule a specific time to go through your emails. You get the drift. Creating a new habit is about showing up for yourself with consistency. The more consistent you are with following through, the more trust and confidence you’ll have in yourself. Expand your competence. When we’re mired in self-doubt we’re often steeped in the belief that we’re incompetent in some way. For the areas in your life you’d like to improve, dive in a little deeper. Learn more, practice more, keep at it. Little by little your competence will grow. For areas where you’re already competent, dive even deeper. The more you grow your competence, the more confident and self-assured you’ll feel. You’ll realize that it truly is within your power to make the changes you desire. Ask for guidance. Confide in a trusted friend or mentor. 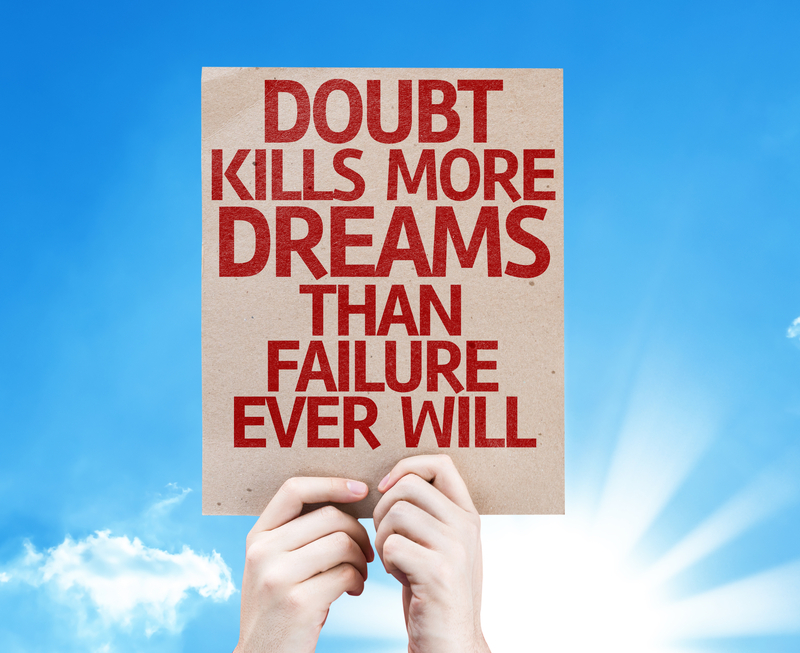 Discuss what you’d like to achieve if it weren’t for your self-doubt. Gather honest input your strengths and weaknesses. The more knowledge you have, the more power you’ll have to move yourself forward. The more you practice reaching out for input, the freer and more confident you’ll feel in sharing your ideas. Use your imagination to see what you want. When we’re swimming in self-doubt, we’re usually imagining exactly what we don’t want. Instead, use creative visualization to see yourself experiencing what you desire. Imagine how it feels, and what you are doing. Really get into the scene, and see it going well for you. Doing this will help you increase your sense of confidence. It will also facilitate your creative process, and the flow of ideas. Use EFT Tapping. EFT Tapping can help clear negative feelings of self doubt, and it can also help you boost positive feelings of confidence. Walking around with a continual undercurrent of self-doubt will only serve to drag you down further. EFT Tapping is quick, powerful, and easy to learn. 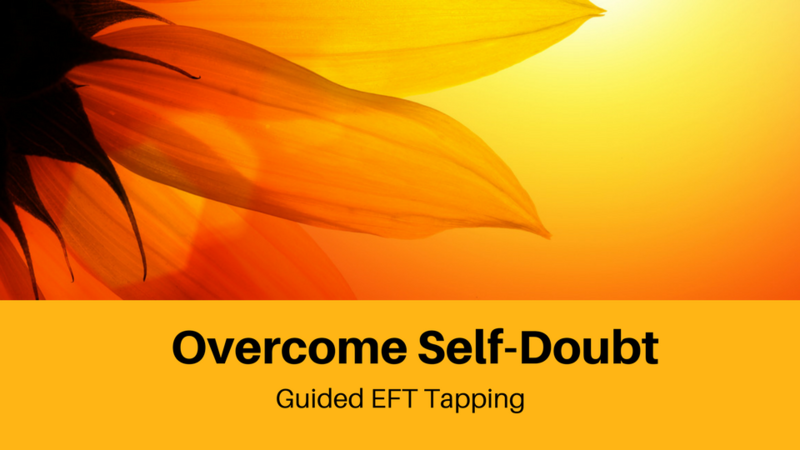 Contact me to learn about using EFT Tapping to conquer self doubt. To apply for a free 30-Minute Unleash Your Creative Genius Call, click here. 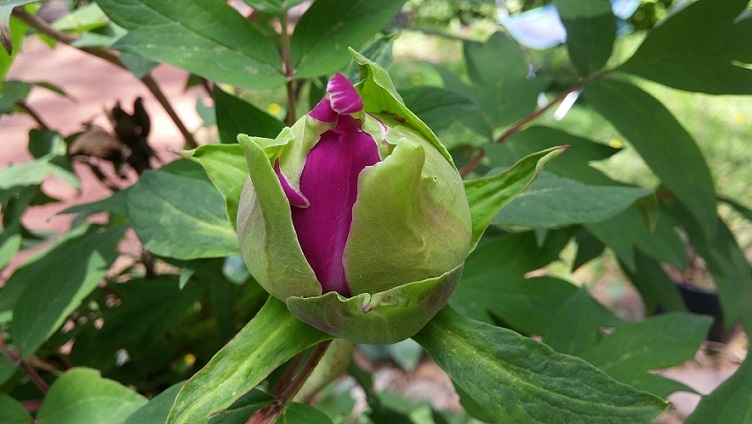 “And the day came when the risk to remain tight in a bud was more painful than the risk it took to blossom” ~ Anais Nin. 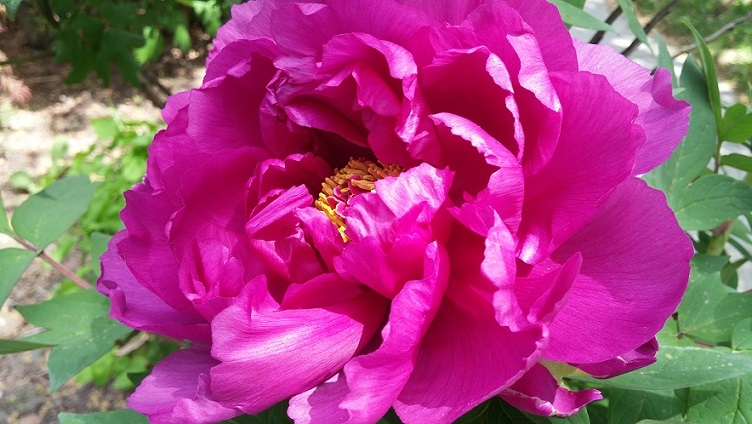 Watching the peonies in our garden, I am reminded of this quote. I wonder if the blossom feels pain and fear before breaking out of its bud. It surely must be the case for the baby bird, breaking from its shell, the butterfly emerging from its cocoon. Living within a tight space can feel cozy and safe, like a maternal hug. The outer walls forming formidable protection for emerging growth. Then comes that day, that exact moment, when everything begins to change. What once felt safe becomes stale and stagnant. Outer protection presses painfully. Coziness turns constricting and restrictive. All the while, an underlying fear of the unknown swells to the surface. Despite it all, I doubt the blossom, the bird, or the butterfly, ever regret the pain of emergence. What if fear and discomfort are just signals that it’s time to emerge? What if once we emerge, the sheer joy of blossoming overcomes it all? Where are you ready to blossom? Are you being signaled? Is it time? Remember that it’s the act of moving through discomfort that has the power to dissolve it. Vibrant life shines brightly on the other side. Open up to the beauty within you. It’s time to unlock your brilliance! Contact me for more info about a free 30-Minute Tame Your Critic with EFT Tapping Strategy Call. Learn how you can use EFT to release fear and self doubt, and unlock your brilliance.